You are here: Home / Tips for Pilates Studios / Do you have your funeral bag ready to go? Do you have your funeral bag ready to go? Last week one of my clients was doing a Pilates event at the local University, and she sent me a message in the afternoon. So I asked her — do you keep all those things in a bag and ready to go? That way you don’t have to worry so much when you do community events, and if you think of something you missed when you’re at the event — you can add it to the bag when you get back to the studio – -and next time all you have to do is pick up your bag and you will be ready to go? I used to play the piano and organ at church events (weddings and funerals). For weddings you have to have a lot of notice, and a lot of personalization so I generally planned an individual play list for each wedding. However, with funerals, it was a different story. I had a tote bag packed with my funeral music, and I still have that bag packed and in my coat closet even though I haven’t played at a funeral in years. If I came home from travel or a meeting and had to go directly to the funeral – I could have someone stop at my house, get the “funeral bag” and I would be ready to play. 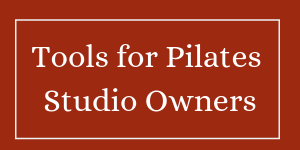 This concept works for your Pilates studio as well! 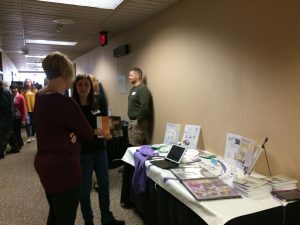 If you get asked to do a community event, if you have your materials together, it’s may be easier to agree to do the event, because you know that you’re ready to go. If you don’t have your “event bag” packed and ready – you have to determine what you want to take, maybe go to the printer, or print things out yourself, which takes preparation time that you might not have available! If you have questions about what you should have in your “funeral bag”, make an appointment on my website for a free consult with me on my website and we’ll talk about it! Previous Post: « This clown is so hot!